Super cute beach bungalow, fully updated and turnkey. Lots of charm. The new kitchen has quartz countertops and stainless appliances. Durable and beautiful, easy-to-maintain bamboo hardwood has been laid throughout the home, warming up the ambiance. The bonus room in back is a cozy master bedroom with its own private bathroom. There is more usable space than expected! Fresh interior and exterior paint enriches the beach vibe, and the drought tolerant landscape is low maintenance. The attached garage has the laundry hookups and is perfect for storing your toys and extra gear. Bring your surfboards and bikes! The composite roof was added in 2016, and the well-insulated attic make this a very energy-efficient home. The electrical has been fully updated. The small private backyard is big enough for the BBQ and a hot tub! It's perfect for a first-time homeowner, or as income property. 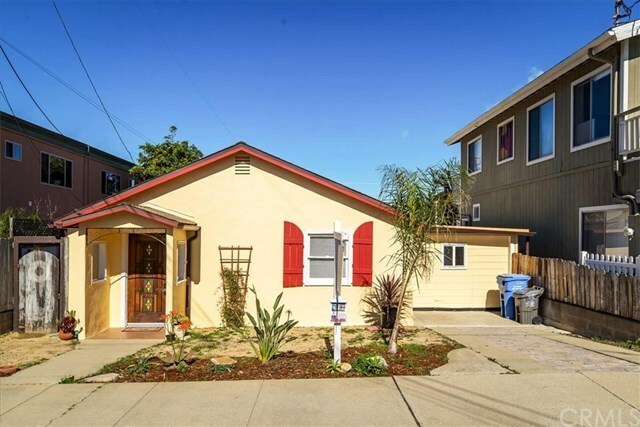 It's in a neighborhood that is close to parks, the beach, award-winning schools, restaurants, brewery and shopping, you'll love this sweet little home, call your realtor today!